Much of the imcth Desktop Mustang is fabricated of metal components, with cast metal and photo-etch parts, plus transparencies, rubber tyres, and much more. For all that, actual assembly is claimed to be easy, with a minimum of tools necessary. So that’s all right then, as a no-fuss construction system suits this time-short writer very well. 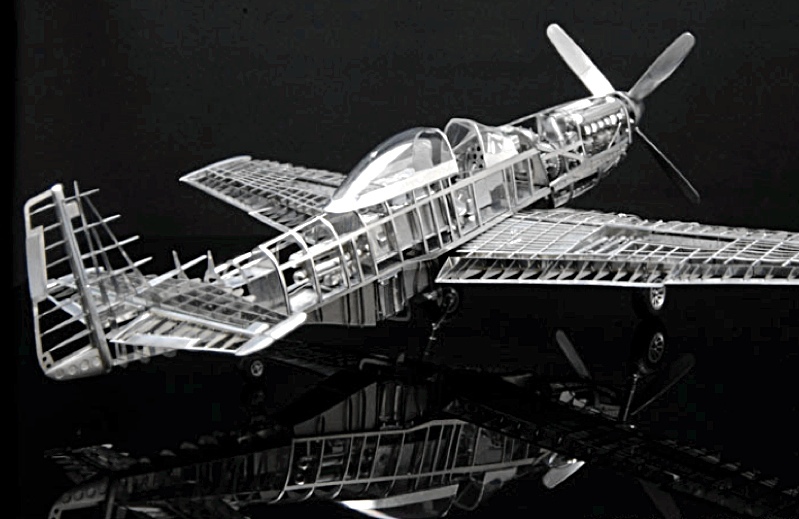 As the Desktop Mustang is a see-inside structural model, the bare-metal appearance is excellent as it is, with little or no painting necessary - unless you want to pick out details such as the prop blades or canopy surround, even paint the components in factory-finish anti-corrosion green. 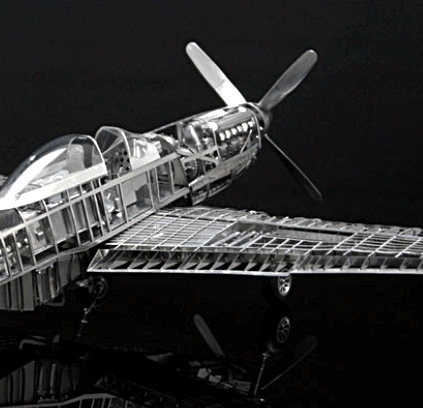 In our opinion though, this P-51D really looks best in as-supplied gleaming metal, preferably with a small desk lamp picking out the highlights. 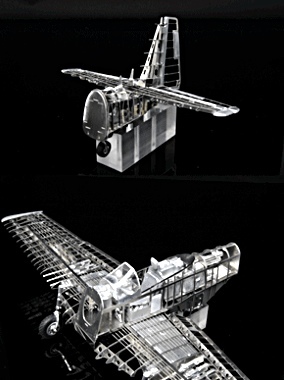 Produced and marketed by imcth, the metal parts are manufactured by Model Factory Hiro, a company with an excellent reputation for accuracy. Imcth is a new kid on the block, dating only from April 2008, and with gratifying aims that ought to make us model fans very pleased indeed. 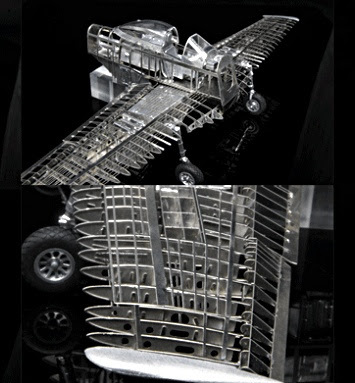 Try this: “We provide real models made with truly innovative creativity. “We lead our customers to a new discovery - to their ‘Aha!’ moment. 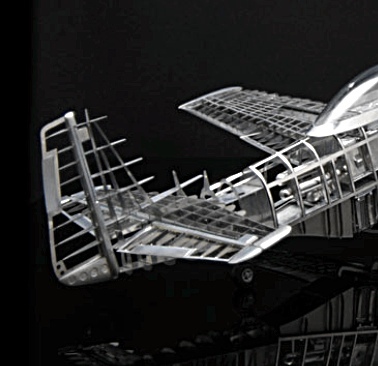 All of which is rather zen, deeply cool, and voices an outlook that bodes well for the future of imcth and its models, so best wishes from Scale Model News. 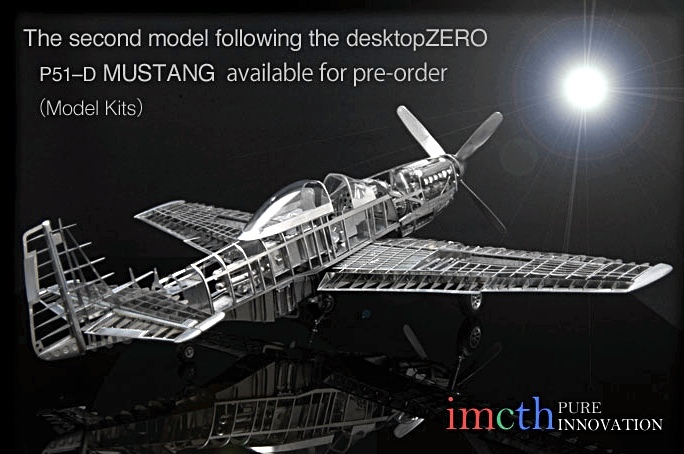 More on the Desktop Mustang here. Pre-orders have started, deliveries expected in May. 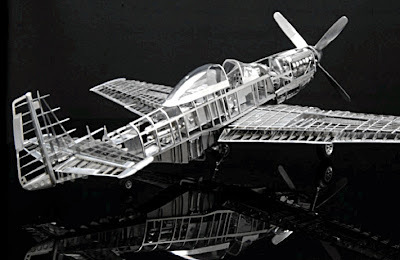 Model Factory Hiro homesite here. 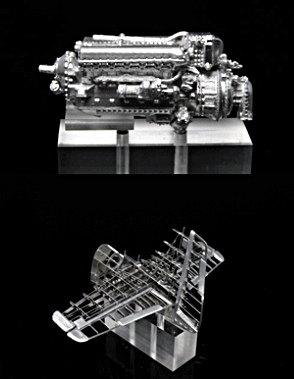 Model Factory Hiro Ferrari here.